Bigfoot was not very happy to hear Texas hunters can hunt him. They hunt deer in Texas. They hunt pheasant, turkey, dove and quail, too. They even hunt alligators. Now you can add Bigfoot to the hunting mix. 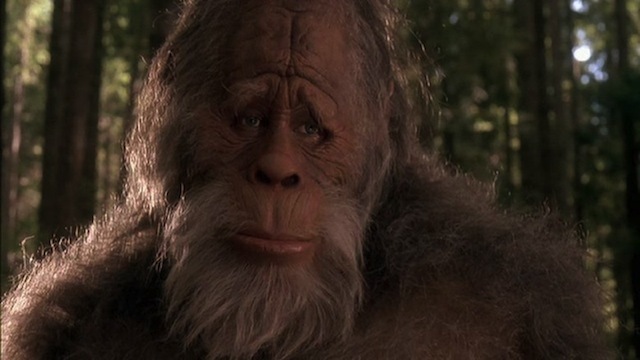 No, the Texas Parks and Wildlife Department hasn't added Bigfoot to its hunting regulations. But, as it turns out, Bigfoot is indirectly listed as "nongame" wildlife and would be legal to shoot. Seriously. What started the "hunting Bigfoot" talk was John Lloyd Scharf, a Sasquatch enthusiast from Oregon who posed a question to the TPWD about hunting unknown creatures in Texas. TPWD chief of staff Lt. David Sinclair told FoxNews.com he responded with a description of the law, though he claims to have been taken "wildly out of context." Nevertheless, Texas hunting regulations seem to indicate shooting Bigfoot would be perfectly legal. [...The] rules Sinclair cites are clear: It would be legal to shoot Sasquatch. "Nongame" means wildlife indigenous to Texas that aren't deer, sheep, geese, alligators, or any other animal hunted for food. If the Commission doesn’t specifically list a beast -- and needless to say, Bigfoot doesn’t make the list -- it isn’t protected. So Bigfoot a Longhorn? Absolutely, said Brian Brown, media coordinator for the Texas Bigfoot Research Conservancy. "We've got hundreds of sightings going back decades. I don't think we'd have any problem proving it's indigenous. We think they're all over the region," Brown told FoxNews.com. .Brown argued that killing a Bigfoot is a necessary way to prove its existence. "Our primary mission is to conserve these animals. They cannot be conserved until they are accepted as fact. They will not be accepted as fact until a type specimen is produced. It's as simple as that," he wrote on the group's website, texasbigfoot.com. 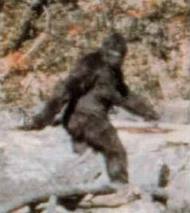 According to the report, Texas has one of the nation's highest incidents of Bigfoot sightings, following Washington, California, Oregon, Ohio and Florida. Our guess is that Texas hunters will stick to hunting deer and other species they know to exist. After all, who could shoot an animal with a face like that in the above photo?